Use quick rules and actions to rapidly clear your inbox! Separate work and home emails for clarity and focus. 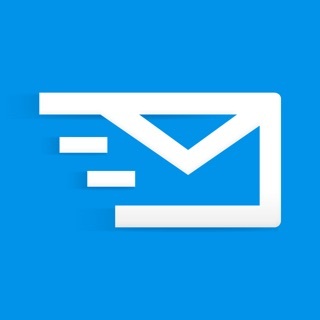 AltaMail has the easiest to use, yet most advanced email features of any app. You can build rules & filters, create full searches, mixed inbox view layouts, mail shots and much more. Supports practically every leading email type IMAP, POP, Exchange, Outlook, iCloud, Gmail, Hotmail, Yahoo, etc. Full customization of menus, views, actions, swipes, email font, color, layout, shortcuts, filters, rules, smart folders, flags and notifications. Use the Watch app to view, reply and print emails on the go. The AltaMail team does not compromise on functionality. 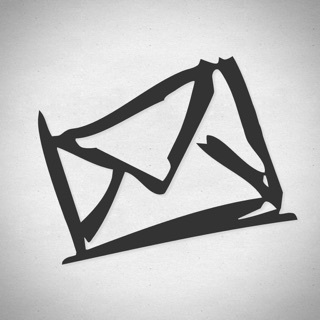 AltaMail eliminates the need for a desktop email application, while seamlessly integrating with other email platforms. Incredible iPhone Apps for Dummies "The more e-mail you send & receive on your iPhone/iPad, the more you'll appreciate AltaMail"
AppShouter "this app expands the possibilities for mail"
iPhone Apps Finder "a very solid business app - 9/10"
ArticleClick "bottom line is that this app expands the possibilities for mail on your iPhone or iPad"
Group and view your email accounts in different categories, eg. work, personal etc. Swipe emails for quick actions. eg. move to folder, mark as spam, mark as read, delete, set flags, reply with template, quick reply, snooze/set reminders and much more! Create your own email views, filtered by account, type, subject and much more. eg. news, lists, friends, purchases. Sort emails by unread, importance, subject, sender & more. Create, rename and delete email folders. The most sophisticated email rules engine on the app store! Huge range of choices for filters and actions. A quick swipe will mark and email as spam, move it to the spam folder, block the sender email address and unsubscribe - in one action! Free 30 day trial then a 99c/month or 1 year subscription ($9.99 varies by region). Subscriptions are charged to your iTunes account and auto-renew unless turned off prior to 24-hours before the end, otherwise your account is charged within 24-hours of the end. Subscriptions are managed & auto-renewal is turned off in your iTunes Account Settings. The free trial stops when a subscription starts. Support our hard working team - support regular updates and new AltaMail features with a quick review on the app store, thanks! Although I am still a newby and learning my way around, But, this APP is the BEST email app I have ever used to date. And I have used most all Mail Apps looking for a SPAM cure. But AltaMail is so far the best. And, I say that because My Spam and Junk Mail has finally found it’s way OUT of my inbox, usually never to be seen again. For years I have been harassed by SPAM mail but with AltaMail now installed...not so much any more. Apples mail app can not match this one and in fact I have Deleted Apple’s App from all my devices, including my iPhone, and replaced it with AltaMail. MY ISP has not been at all helpful in resolving Spam issues. The steps given for such control of SPAM-JUNK mail are complex and time consuming to perform...and don’t even work!! And, now with AltaMail, I don’t have those issues as much anymore. I would love to see the day when a brilliant APP company like this one, can be given permission by a customer, like me, to enter my ISP and help control annoying features like Spam and Junk Mail... That would be worth almost any price for such an app. BUT, this AltaMail APP does not just excel in Spam Kills, but also in Organizing emails so that they are easy to find and store for future use. I love this APP, and I will give another rating after I have had more time. THANKS ALTAMAIL!!! I have tried every email app available on iPhone. This is the only app that does not download and store your emails on their own servers. The only app that does not use your emails and content and contacts to sell for advertisements or marketing. You can use aliases, read receipts. Different signatures to go with each alias. Send later feature. Full customizable view. Tons of settings. Spam filters. Auto filter to different folders, etc. It hands down blows the competition away. Support is very responsive, fast and helpful. Ability to turn off the warning if you do not allow it to access your contacts. I don’t want my contacts accessed so I didn’t grant access to the app. So when creating a new email I always get a warning that it cannot access the contacts. Please enable a setting to turn this on or off. My email host automatically filters my email to the correct folders. I love that this app allows you to select which folders for unread emails. This is awesome. But. I would like to get new email notifications for these selected folders too, not just the main inbox. AltaMail is singularly the most feature-rich, function-rich, flexible, user configurable email app in the AppStore. The end user can reconfigure / customize nearly all AltaMail features and functions, including spam manager, multiple custom signatures for each and every user ID, file manager, support for multiple cloud storage services, etc. AltaMail has more capability than any other email app that I’ve tried (and I’ve tried nearly every one). I’ve been using AltaMail now for over 5 years and EuroSmart has clearly demonstrated its dedicated commitment to make the best products it can. Every update incorporates great new functionality. And the EuroSmart team proactively responds to new feature suggestions - they have added at least 6 of my new feature / function requests. I’d give AltaMail 6 stars if I could!